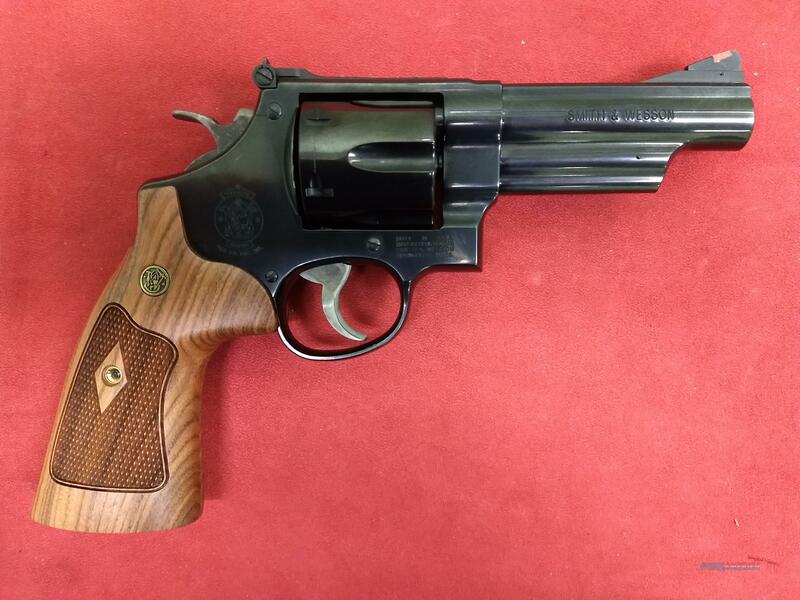 Smith & Wesson Model 29 Classic, .44 Magnum, Like New! Description: Smith & Wesson makes it possible for you to own a piece of history-in-the-making with their "Classic" revolvers. They're the finest new handguns possible with designs harkening back to the most famous and collectible guns that Smith & Wesson ever constructed. Each is based on a model known for legendary performance then enhanced with modern advantages, the best of both worlds! This pre-owned model 29-10 is in "Like New" condition and features a 4" barrel with a shiny bore and clean chambers. The rear sight is fully adjustable and is paired with a red ramp front sight in classic S&W style. This is the perfect choice for someone who wants a functionally new, classically styled, uniquely American revolver at a used gun price! Comes with the factory box and papers.